I’d had serious relationships before meeting my fiancé, with a couple lasting for years. I thought I was an adult; I thought I knew how to be a great girlfriend. Meeting someone I had a serious connection with taught me that nothing I had experienced before was real. 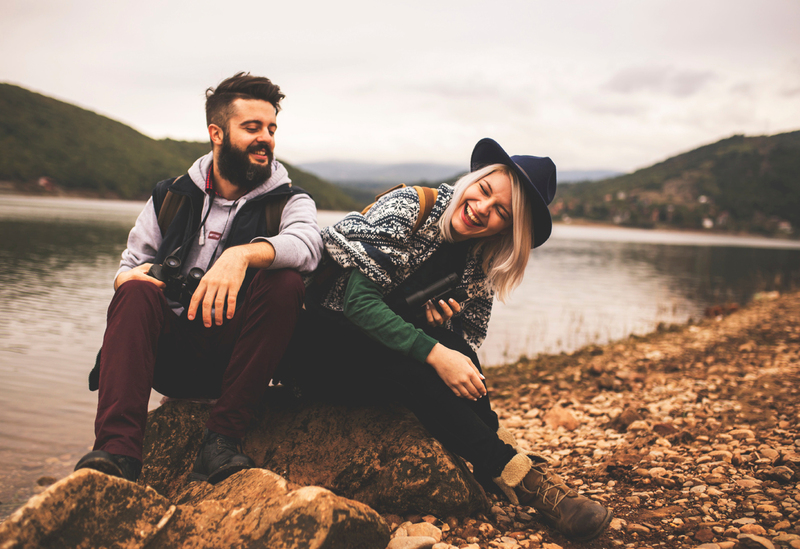 True love feels different than casual relationships — even if those relationships lasted for years (which is usually well past their expiration date!). When you’re in a good relationship, you learn things. You act differently and you think as part of a team — not as an individual making their way through the world. You’ll be more understanding and accepting of your partner, instead of just getting frustrated with them, like you may have with past relationships. Misunderstandings are going to happen. If you take your partner’s words one way, then learn they meant something totally different, don’t punish him or her. Let it go. Bringing it up all the time is only going to bruise the relationship and cause communication problems later. Sometimes what you say or do will be taken the wrong way, and you’ll get frustrated that your partner doesn’t understand. Take a step back and realize it’s not a big deal. Misunderstandings only become problems if you let them grow bigger and mean more in the scope of your relationship. Be laid-back and forgive misunderstandings. You have to trust your partner. Why would you share your life with someone when you think they’re doing something wrong every time you turn your back? If you don’t trust your partner to be faithful, honest, caring or anything else, then you’re not in a good relationship. The best relationships begin with a deep trust, and even if problems come up (and they will! ), the trust is strong enough to keep you together. You’re in love, so you want to be together all the time! It’s so fun to cuddle all night and be together all day, but when will you have time to experience different things? When you go to separate work places or schools, you’re experiencing things that will give you something to talk about later. When you go out with your friends and your partner spends time with theirs, then you’re having time and space to yourself, then coming back to each other refreshed. You have a chance to miss each other, and it helps you really understand the value of your relationship. Missing someone is great because getting to see them after that period will make you so happy and so sure of your relationship. In a good relationship, both partners are encouraged to grow and change. You have one life to live — you should explore it to the fullest! If you want to quit your job and go back to school, your partner should support you. If you want to try something new or go back to something old, you should find support in your relationship. And you should give this support in return. Encourage your partner to explore hobbies and interests and meet new people. If you want your partner to stay the same, you’re going to have a very boring life together.